In this day and age it baffles me how many resources are spent and wasted on the book industry. Millions of books are printed and millions never get sold or is only read once before being confined to a dusty shelf for the rest of eternity. Considering today's technological advances I think it's only a matter of time, till books as we know them, are no more. As a book lover this pains me to some degree, because yes, holding the physical book in your hand cannot be beaten by any e-reader... or so I used to say - before I had even tried an e-reader. I was very sceptical when they first introduced digital books, but having now played with book various e-readers (kindle and ipad to name a few) I cannot argue that they are very nice to use. The technology will keep on getting even better and I truly think it's the way to go eventually. You can take notes, you can zoom in, zoom out, highlight and best of all? You can carry thousands of books in your bag rather than just a couple. What I wouldn't have gived to own such a device when I started university! The money I've spent on physical copies of books and texts. The mountains of paper that's been spent on making photocopies of this and that. Imagine how much simpler it would have been had I had everything stored on such a device. I wouldn't sit here staring at a bookcase full of paper that's going to be thrown out the minute I have my bachelor degree as I have absolutely no further use for it. I wouldn't have lost articles and documents due to bad infrastructure in my room. I would have it all on a hard drive and once I was done with it I could press delete and it would disappear into the nothingness of which it came. People out there will scream and rage and cling on to their books, and while I can feel their pain, I still think that maybe it's time we stop being so selfish and give it a try. Less resources will be wasted, books should theoretically become cheaper as less work (or rather, the entire printing stage) is necessary. Of course you can argue that this will result in less work for people and also though fewer resources are spent on books, more will be spent on the machines. And I suppose it's easier to recycle a book than it is plastic/metal thing. But if we enter that chasm of darkness it's all negative as we can dwell on how much the human race wastes and kills and destroys. So I won't do that. I will think of the unicorns and the rainbows and the rainforest that people on the internet can't quite agree on whether or not is going to run out of trees. I will remember that we are a species that struggles to cope without internet access. I will remember, even if vaguely, Moore's law on how technology is racing to improve and do better. I will point out that if books aren't printed it should make it easier for new writers to get published (by themselves if they have to) and thus more material will hit the market (and yes that will inevitably mean more crap on the market as well, but try and think positive here). I will focus on all the good things I can think off and then I'll hope Santa brings me an e-reader come next Christmas. Today's article brought to you by a naive little girl who doesn't have the financial resources yet to buy an e-reader, but is just really tired of all the dust in her room that gathers on her bookshelves. I have a sony reader that I got for Christmas last year, but I've found it really clunky and temperamental - cuts out on me randomly, freezes etc. I do think a kindle would be easier but can't really justify the expense. The only argument that I have against e-readers is that I like looking at all the books lined up on my shelf. I know just what you mean, I love having my bookshelves there, filled to the brim. However I've got close to 250 books here already and they take up a ton of space. I want more more more and obviously I'm just going to run out of room at some point + though I do reread my books a lot, I can't justify having so many there standing so untouched. E-readers are the way of the future, but so long as it is, I'm not going to help make it come faster. I love physical books and I'm sentimentalizing here, but I can't give up the smell of a new book, the weight of it in my hands, and the physical satisfaction of closing the end cover when I'm finished. It is a dying technology and I will get an e-reader eventually, but I'm going to prolong it as much as possible! Ok, I have to say, I've had my sony 505 for over two years now, and it's the best present I ever received! I still read paper books, and I still love to feel and the sentiment and the joy of a new book. 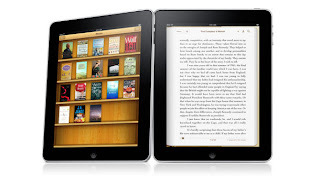 Ebooks are, for me, not replacements, they are lovely additions. I have over 450 books in my purse right now- about 400 of them on my sony and another 50 or so on my droid x. I almost exclusively review ebooks at this point- so easy to get and I can read them no matter where I am. I sold loads of clothes and bookd on ebay last year, prior to moving to Dubai from U.K and bought my self a Kindle(the latest 3G no less) with the proceeds. It is simply wonderful. I can't praise it enough. I've not bought a single book since. Preferring to stick to ebooks and hey - there are loads of free ebooks everywhere to get through before I need to make a purchase. I'm currently catching up on all those classics which I never wanted to actually buy - but always thought I should one day read - Dracula is my present read: Wow its gooooood! Everyone should get one. BTW: I'm new to BookBlogs and came over from there ~iben. A question - Could I guest author you this article. I was going to write one, but you said it all here. And so well! I have a guest author page which will obviously include all your details etc. Let me know. No worries if you'd rather not though. 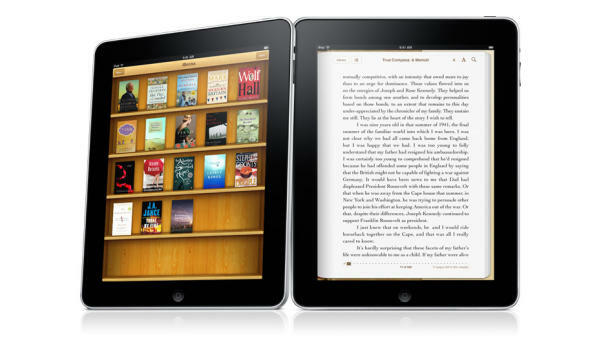 @shah, I can't wait to get my own ereader, there's just so many to choose from! @shah, there should be a follow button by the google friend connect thing/Followers. Otherwise you can also add blogs in your blogger dashboard "blogs i'm following". I have been using a Sony eReader for the last year and a half and loved it. I was traveling a lot for work at the time and it was nice to have all my books in one spot, not to mention the space I saved. For Christmas I recieved a Nook Color and have not let it leave my side since (my wife is getting jealous). There is something to be said though about having bookshelves lined with physical books, whispering to you in the night, "Read me...Read me..." In the words of Ron Burgundy, "I have many leather-bound books and my apartment smells of rich mahogany." You have some very interesting points. Yes it will save trees and make a writer a published author quicker but I just cant get over that. My dream has always been able to open my own library filled with books that i have read. Including books needed for school. I never want to delete or get rid of any books. Although I know i will be buying one due to the fact that i will be behind the times if i dont but.... Im still stuck on physical books.